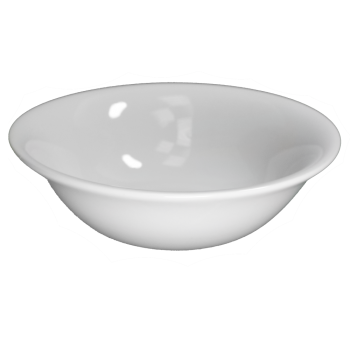 The simple design of the 6.25” oatmeal bowl keeps porridge hot and avoids spills from cereal and is perfect for busy breakfast sittings as it is vitrified, durable and stackable. The bowl can also be used for single serving side salads. Complementing either the Lubiana or Titan range of crockery, this is a useful and versatile dish.